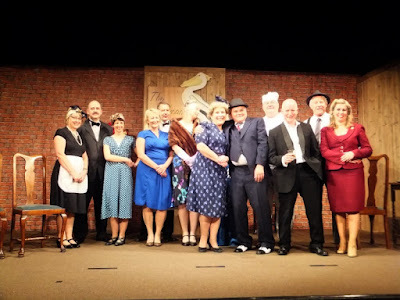 I'm delighted that my 1940 set murder mystery play, MURDER AT THE PELICAN CLUB performed by the Winterbourne Players, Bristol, on 22, 23 and 24 November 2018 proved to be a big hit with audiences. Written with a touch of humour in the vein of the classic crime thrillers of the 20th century, an Agatha Christie style detective drama, it has the audience playing sleuth. 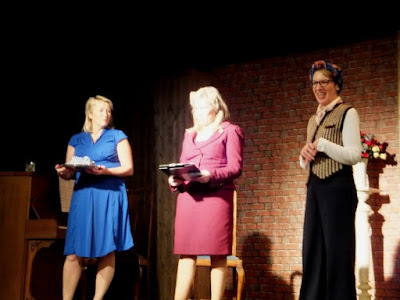 They were invited to guess ‘who done it’ between the acts which revolved around a wartime themed supper of corned beef hash and vegetable hash (for the vegetarians) followed by tin peaches and evaporated milk. There were prizes for the team who came up with the culprit and the motive and although over the three nights performances some got close to guessing nobody actually did. There was also a prize for the best 1940 costume. The Winterbourne Players, an amateur dramatics group, based in Winterbourne, Bristol, present two productions a year, one in May and a second in November at the Winterbourne Community Centre. I joined the audience on the last night and presented the prizes. Yes, that's me wearing the turban and trousers and a genuine 1940 knitted waistcoat, hand knitted by my mother when she was in the ATS. The Winterbourne Players put on a great show. The audience sang along, ohhed and ahhed and laughed in the right places, all credit to the performers and director, Michele English. 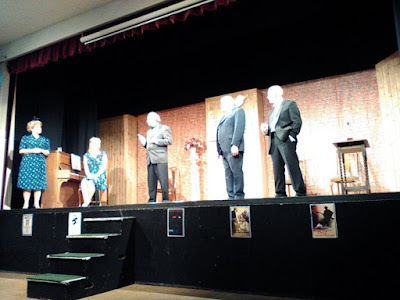 It was thoroughly enjoyable and well done Winterbourne Players. 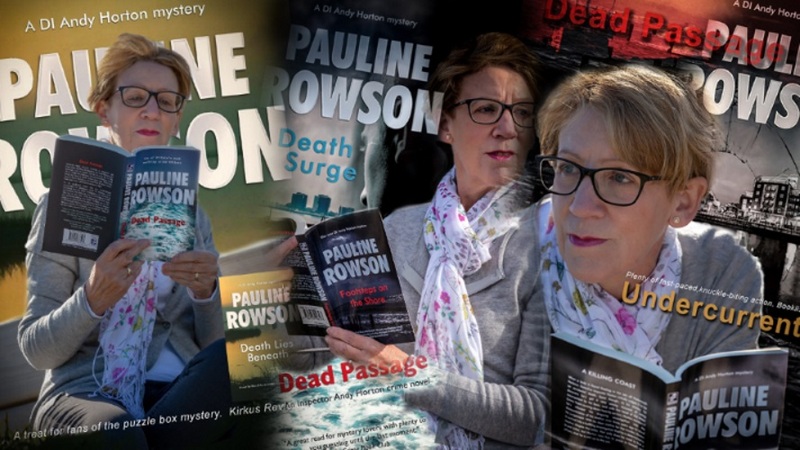 Now they want to stage my next murder mystery play - so I'd better hurry up and finish writing it. It's November 1940 and the blitz has been raging in London since 7 September 1940. Men up to the age of 27 have been called up, which means that gruff Inspector Doyle is still on the job because he's too old. Maisie Duncan and Tillie Trotman have volunteered to do their bit for the war effort. Maisie because she was stuck in a boring office job and wanted excitement, and Tillie because she thought she’d look fetching in a uniform and be sent where lots of men would idolize her. Instead they both get sent to the munitions works. Before the play opens a lunch time talent concert has been organised in the munitions factory where Maisie and Tillie work. Tillie wins it and she’s immediately signed up by agent and impresario, Maxine Hunter. Catapulted to fame by radio appearances and concerts, Tillie is now a forces sweetheart. 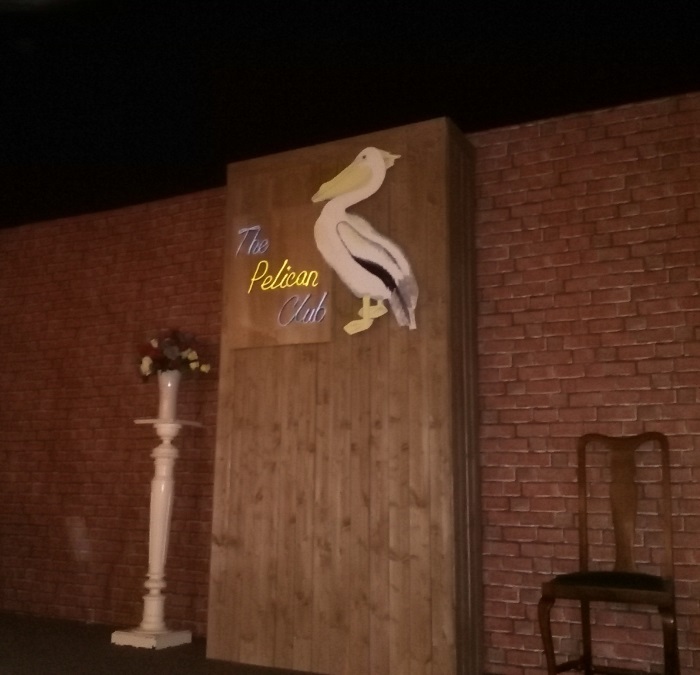 This is her last performance at the popular Pelican Club and Restaurant before travelling overseas to entertain the troops. Someone, though is intent on stopping her.